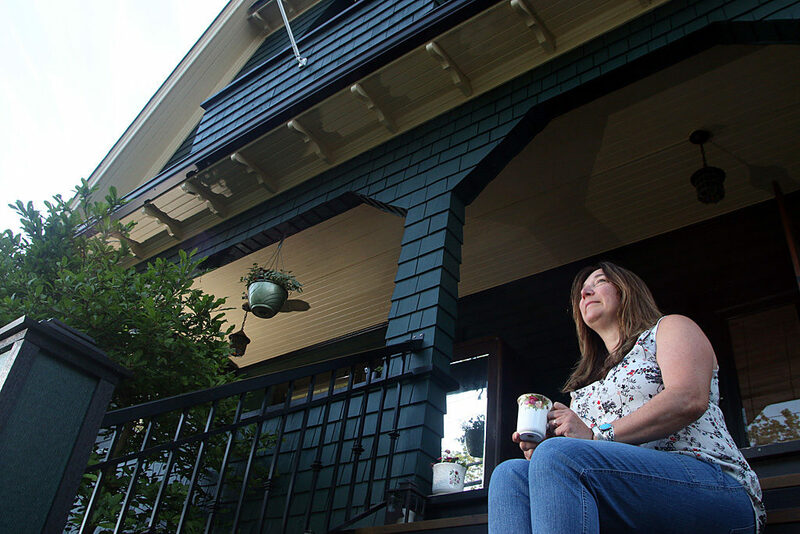 Kathryn Matts enjoys a cup of coffee on the stoop of her 1912 Craftsman house across from Moody Park. The house is being featured in this year’s 36th annual Heritage Homes tour to be held May 29. 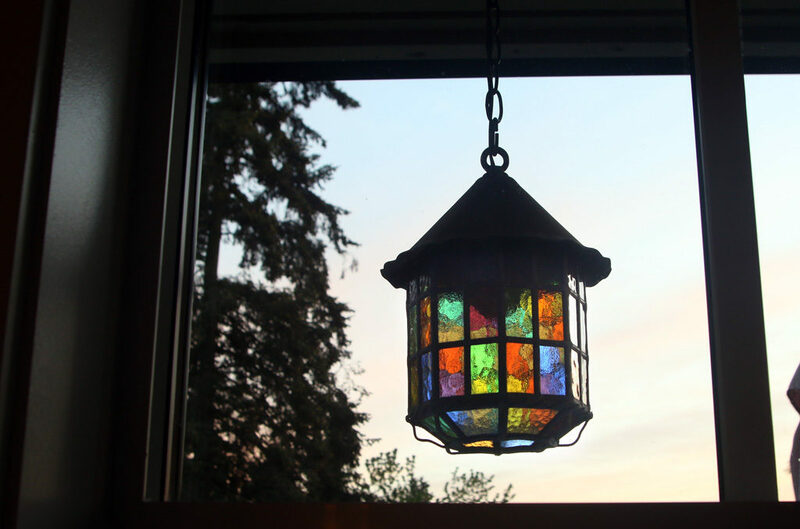 Copper coach lamps around the home’s exterior are also original. 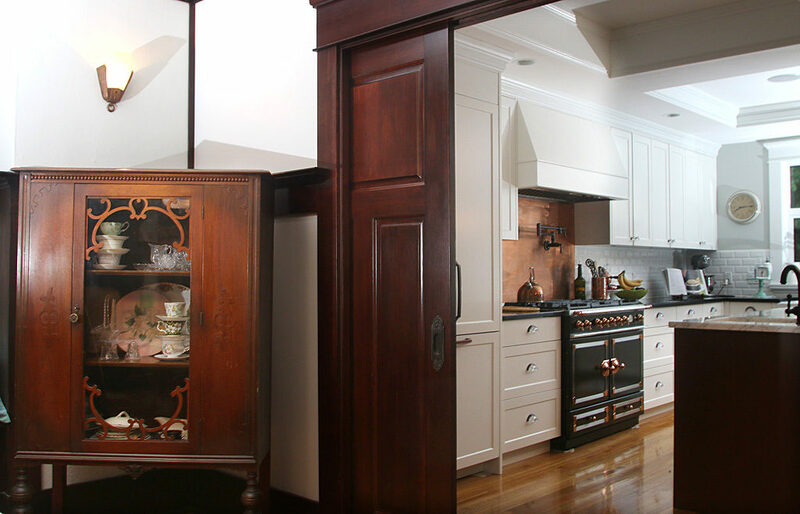 The kitchen was completely rebuilt and modernized with an open plan. 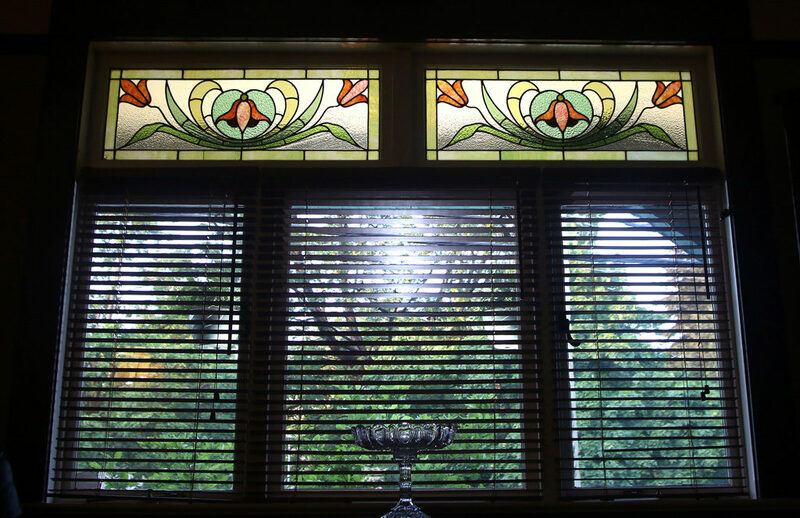 The house features 17 stained glass windows, all of them original. 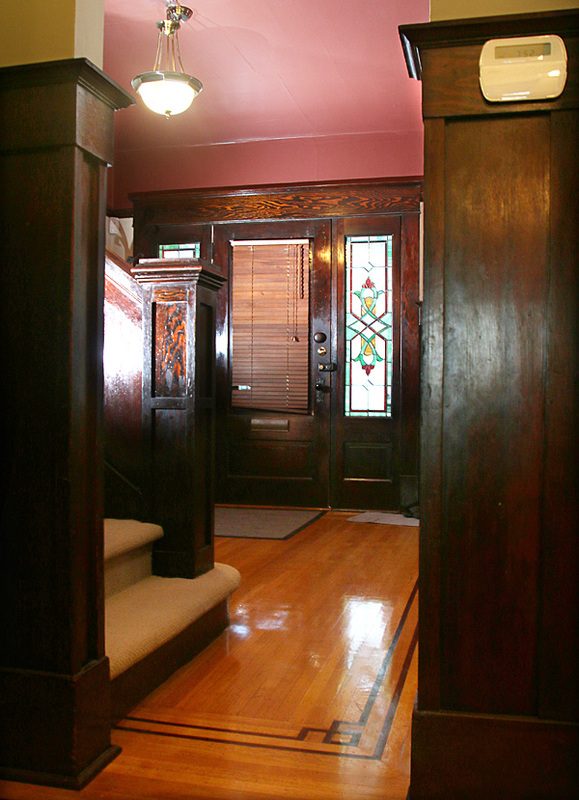 The front entrance features the original fir wood panels as well as leaded glass windows. Tickets for this year’s Heritage Homes Tour are already available online. 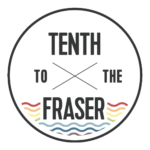 General sale of tickets begins Saturday, May 7 at: Benjamin Moore Royal City Colours, 700 Twelfth St.; Cadeaux Gifts, 467 Columbia St. East; Champagne Taste Home, 1101 Royal Ave.; GardenWorks at Mandeville, 4746 Marine Dr., Burnaby; New West Archives, on the second floor of the Anvil Centre, 777 Columbia St.
Tickets are $35 or $30 for members of the New Westminster Heritage Preservation Society. 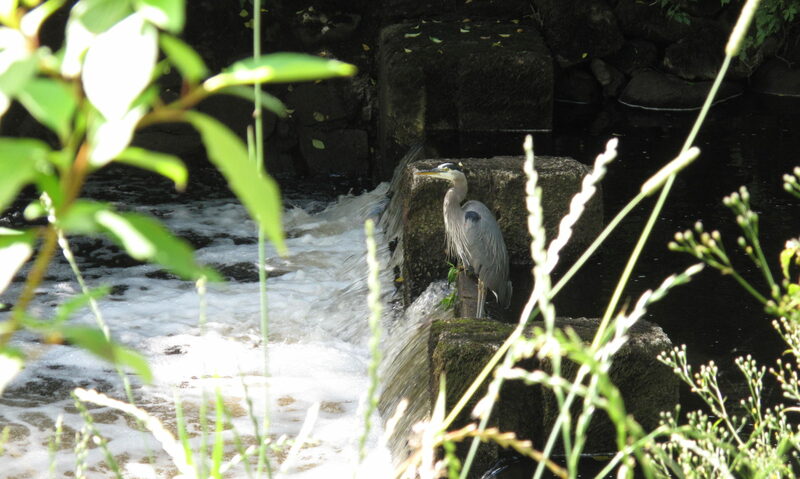 Homes and buildings on this year’s tour will also feature visual and performing art by members of the Arts Council. Photo by Mario Bartel Art deco lamps in the dining room are original. Next PostNext LitFest New West!